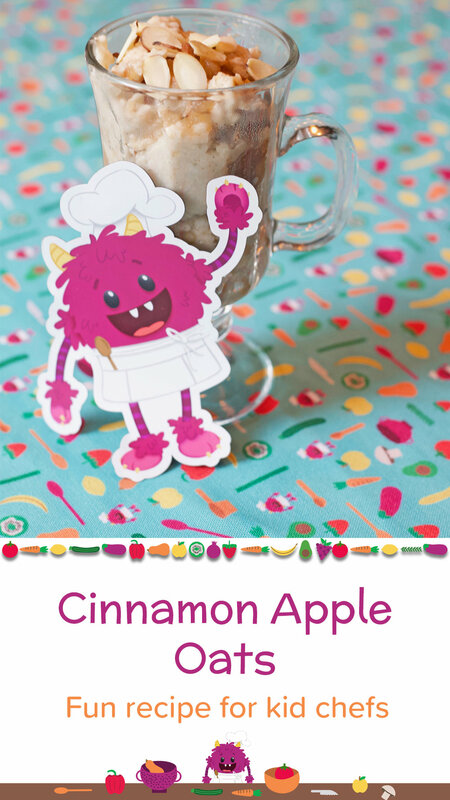 These delicious apple cinnamon oats are the perfect snack for chilly, fall days! 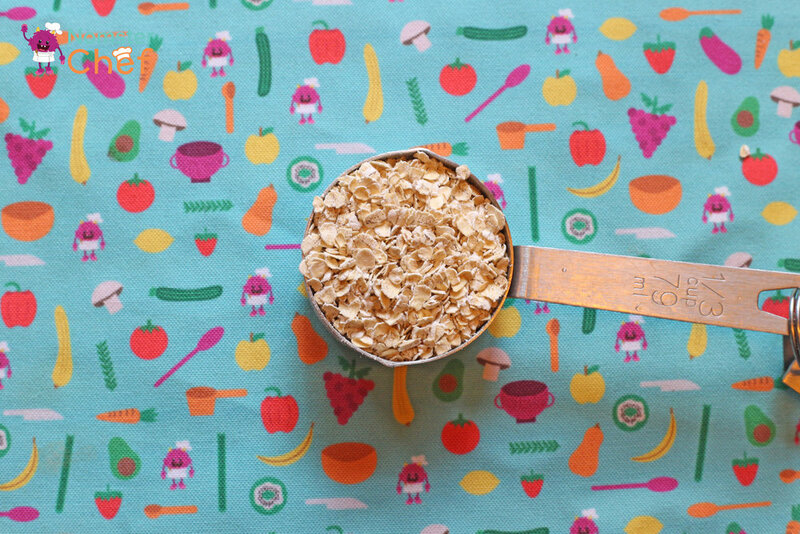 This quick snack only has a few ingredients and is packed with fiber from oats! This week we will be learning how to cube! Using the vegetable peeler, peel the medium sized apple completely. Remember to always peel away from yourself. Now it is time to cube. To cube food means to cut into uniform box shapes with all sides equal. To begin, cut the four quarters of the apple off the core. Next, take one of the quarters and slice it into ¼ inch wide slices. Repeat until you have 12 ¼ inch wide sticks. Next, slice sticks into four equal parts to make cubes. 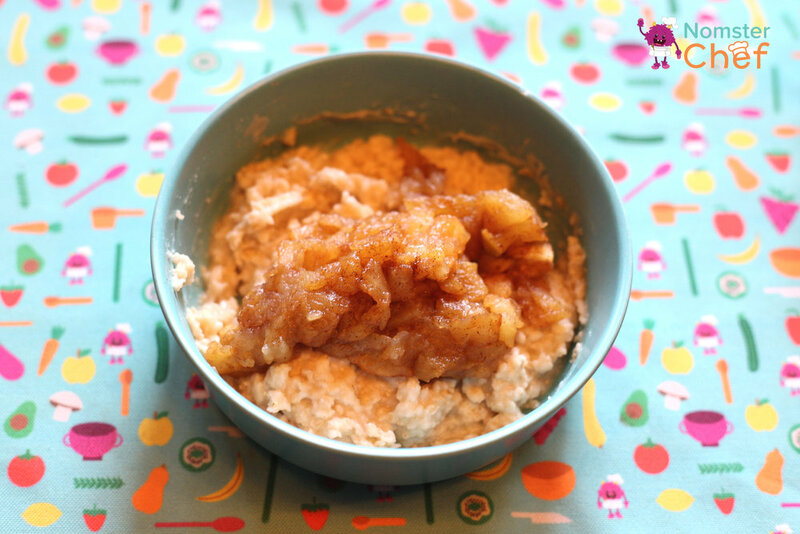 After you have cubed the apple, measure ⅓ cup of oats in a measuring cup and place in a microwave safe bowl. Measure ⅔ cup of water with liquid measuring cup. Add into oats and microwave oats for 2:30. 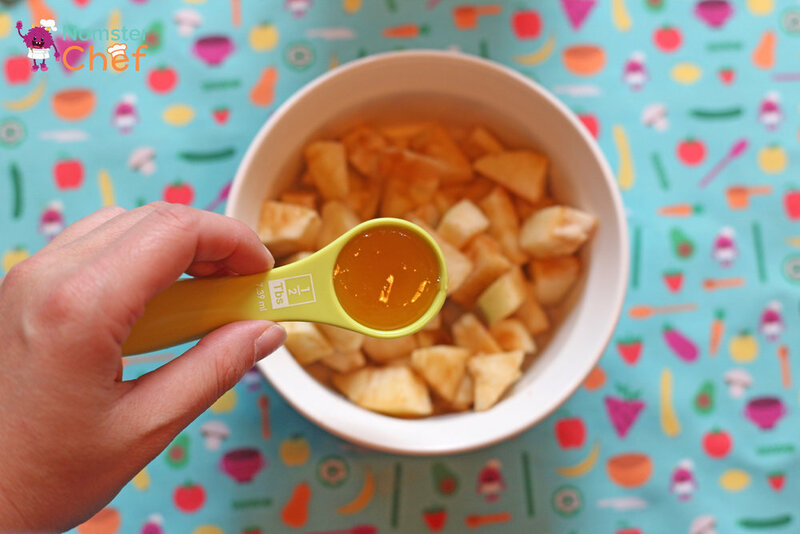 While the oats are in the microwave, add ½ teaspoon vanilla to the bowl of cubed apples. ** Grown-up ** Remove oats from the microwave. Kid chef, place cubed apples in the microwave for 5 minutes. Once the cubed apples are done, mix together with the oats. Always remove the bowls from the microwave yourself. This is a serving size for one person. If you are feeding more people, multiply the recipe.